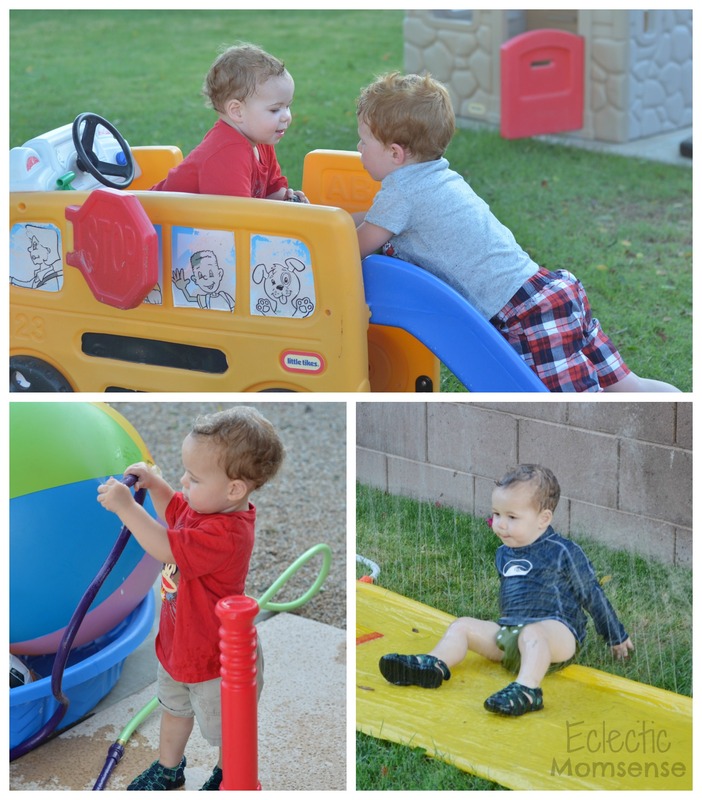 Over the holiday weekend we had family over for a fun affordable #backyardbash. 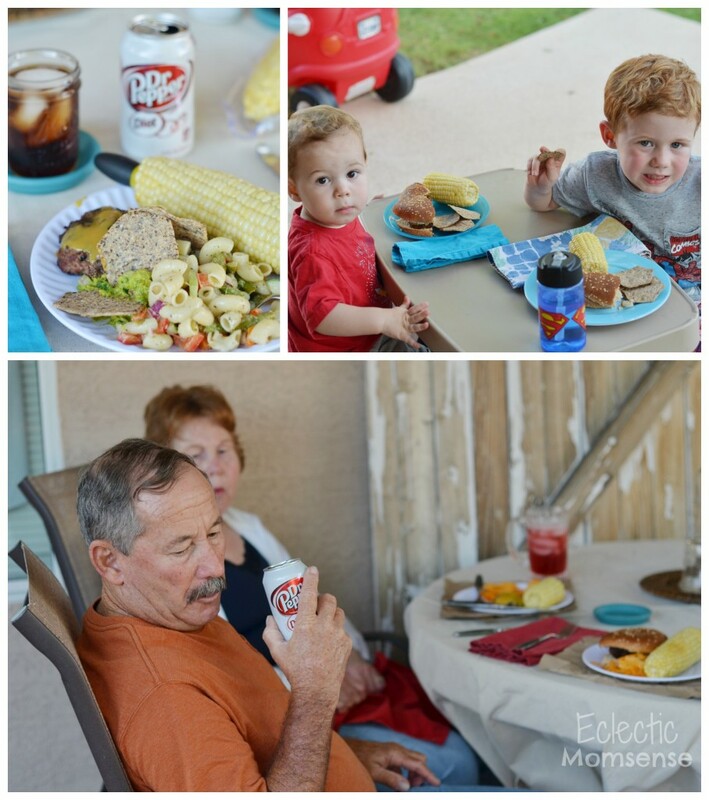 It’s grilling season so we threw some hamburgers on the grill and cooled off with some refreshing Dr Pepper. Corn on the cob and a delicious summer pasta salad were perfect pairings for our budget celebration. We were warding off a storm all afternoon, but thankfully it cooperated and we had a beautiful overcast evening perfect for some lawn games and splashing around. 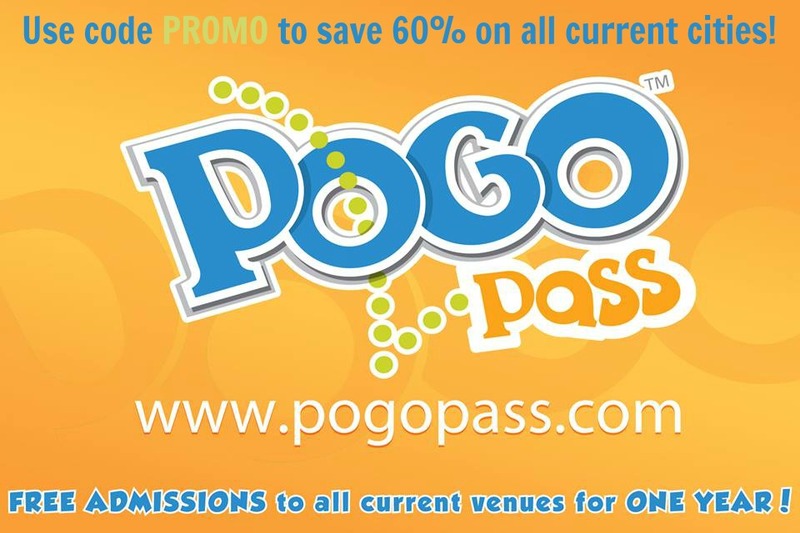 The entire party was very affordable. We focused on decorative accents and games that were inexpensive, easy to construct and often with things we had on hand. Think out of the box and one of a kind. We picked up most of the food and supplies at Walmart. Dr Pepper quenched everyone’s thirsts while a delicious Cheez-It snack mix kept the boys satisfied until dinner was ready. Let me tell you that mix is delicious. I bought it for the boys but in all honesty my dad, myself and my husband helped finish the box off. When the kids weren’t slip n sliding they were helping us hone our throwing skills. 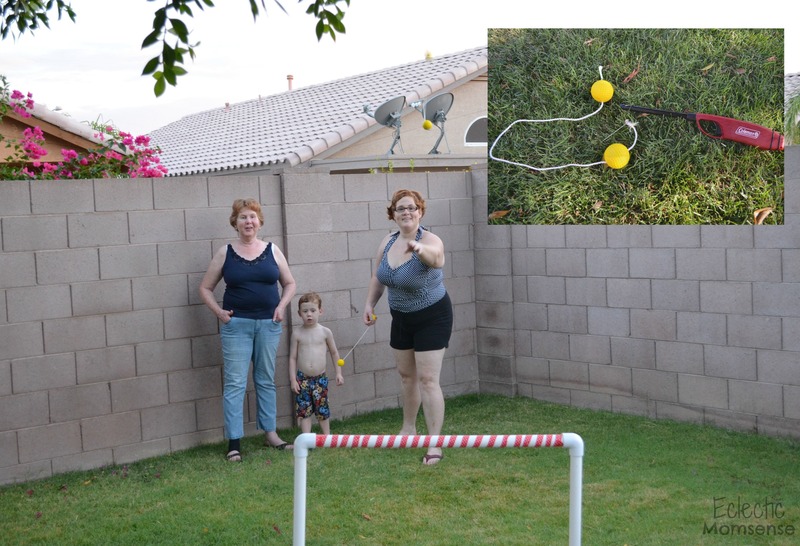 Check back later this week to see how Coleman helped us make this easy ladder ball game. 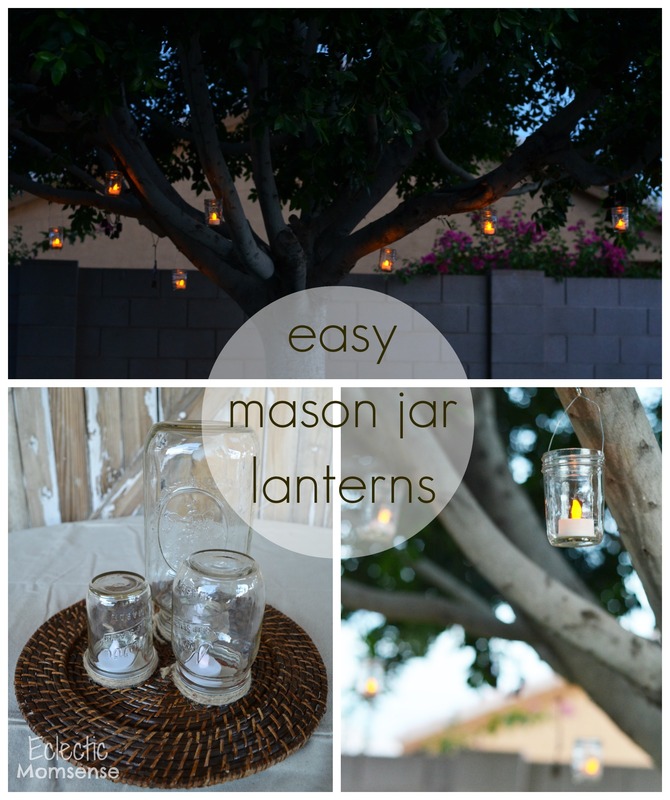 We used simple elements like mason jars for lanterns and glasses. They are fairly inexpensive and multipurpose. When the lights dimmed at night our tree was glowing which added the perfect ambience before fireworks lit up the night sky. A drop cloth acted as a simple tablecloth and paper bags were repurposed as placements. I love using brown paper for fun natural decor. The coasters were just painted terra cotta plates. My favorite decor of the whole evening had to be the old gate with Dr Pepper lanterns. 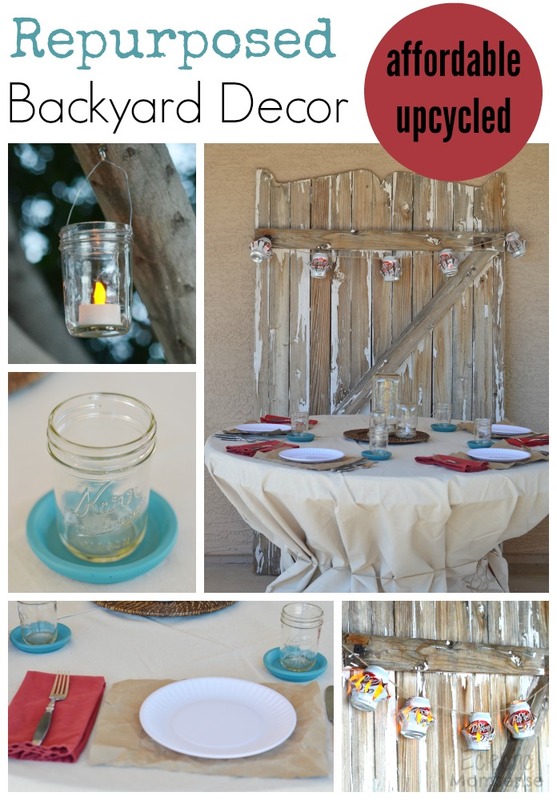 Everything we used for our backyard bash was repurposed or upcycled. These lanterns were so simple to make with just a couple steps and a little bit of patience. 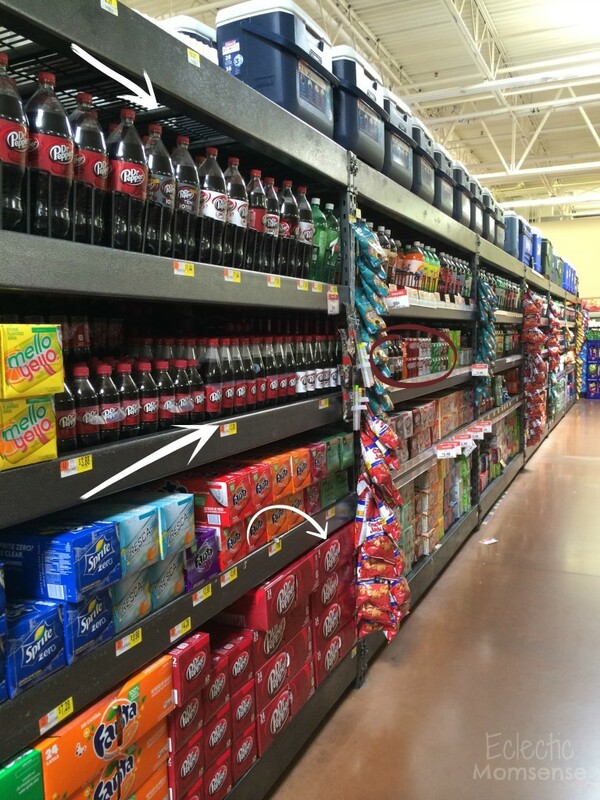 Follow the visual tutorial below, first by enjoying your Dr Pepper. Refill with water and freeze until solid. This will make it easier for the razor blade to cut and safer. Once you’ve made your cuts, removed the top, and hammered holes for the lanterns to hang by you are ready to form your lantern. 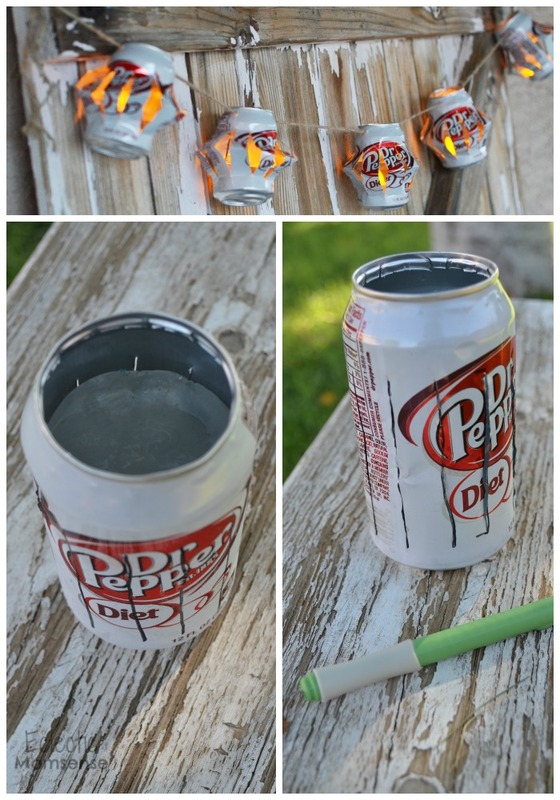 Carefully scrunch your can down so the top and bottom touch. Your cut columns should fan out like flower petals. Gently pinch each petal to create a soft crease. Pull your top and bottom apart until you get the desired look to your lantern. 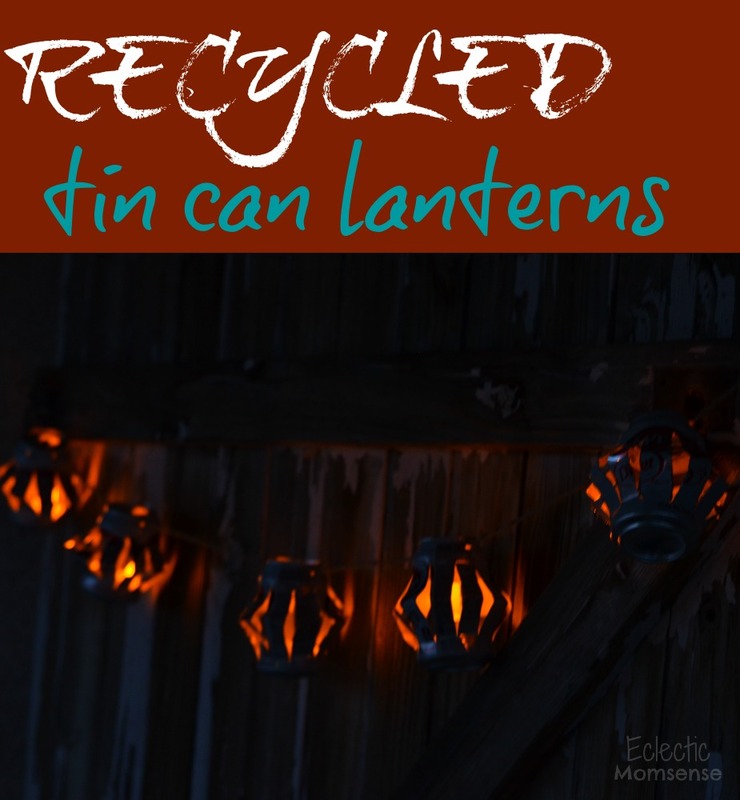 Place a battery operated tea light inside for an easy and one of a kind upcycled lantern.